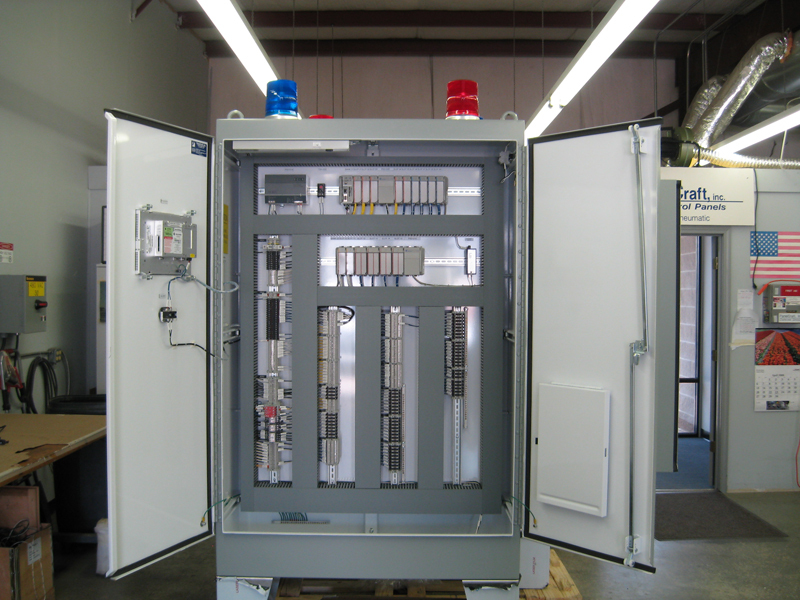 PanelCraft was established in 1998 to provide custom control panels for the growing industrial market in the Southeast. We have over 20 years combined experience in the controls business and are dedicated to providing our customers with the best possible Quality, Delivery, and Price. We can build to your design and furnish all or part of the material. We can also offer cost-saving suggestions and assist you with your customized design. Once you become our customer, we feel that you will want to continue your relationship with PanelCraft on other projects. References are available upon request. Upfront honest pricing (cost adders are minimized). Jobs built by personnel who have installed and maintained similar equipment in the past. Cost saving suggestions when desired by the customer. All products packaged for shipment with equipment. protection being first priority. Emphasis on quality and delivery. AutoCad as-built redlines if desired. AutoCad layouts with bill of materials from customer schematics.